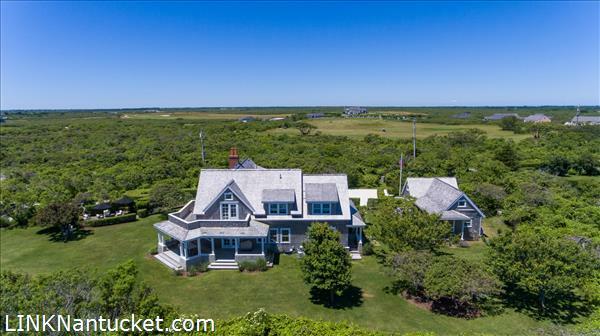 Perfectly sited across from Sankaty Head Golf Club, this renovated custom built home offers stunning views of the ocean and Sankaty Lighthouse from the second floor along with unobstructed sunsets. 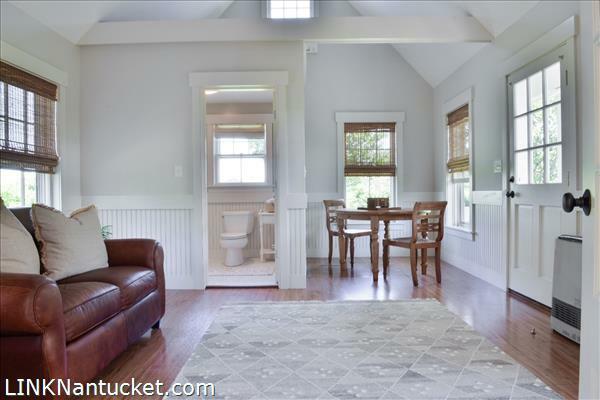 A four bedroom main house, one bedroom guest cottage, room for a pool and pool cabana on over two plus acres provides ultimate serenity and privacy. 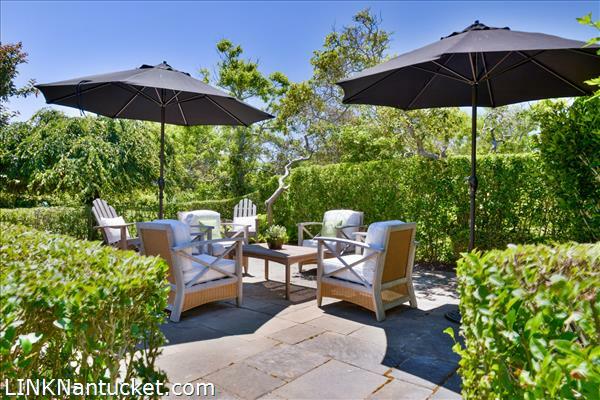 Freshly updated with three floors of living, expansive wrap around porches and separate stone patio make for seamless integration for outdoor entertaining. 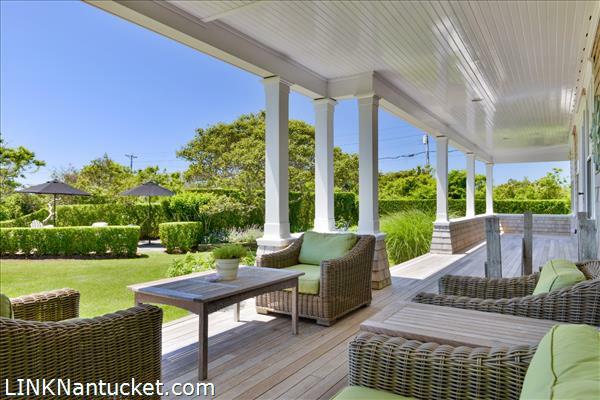 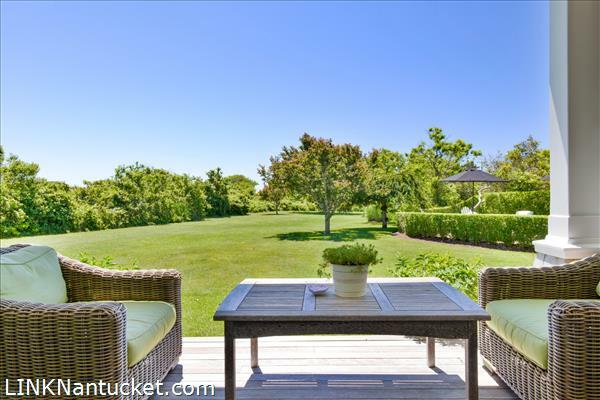 This peaceful oasis is just moments from ‘Sconset Village, Sankaty Head Golf Club and pristine beaches along the East end of Nantucket! 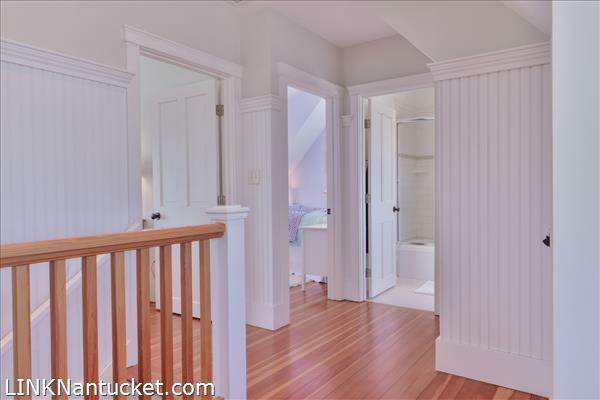 First Floor: Front door opens into informal entranceway, living room with beautiful light throughout offering vaulted and paneled ceilings, fireplace with granite surround and lovely finish details of paneled walls, and two sets of French doors leading to the porch. 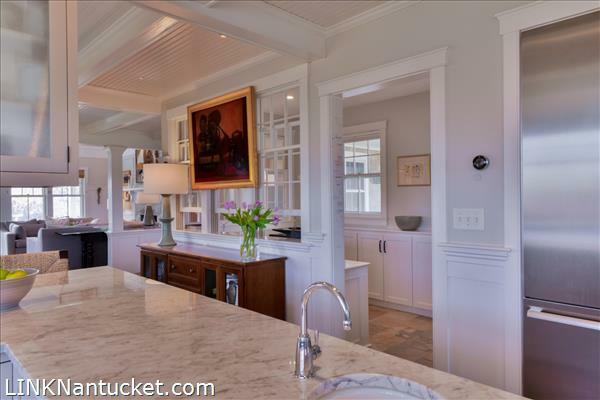 Sunny dining area opens to the renovated gourmet kitchen with marble counters, six-burner stove, double ovens, double sinks, counter and bar stools. 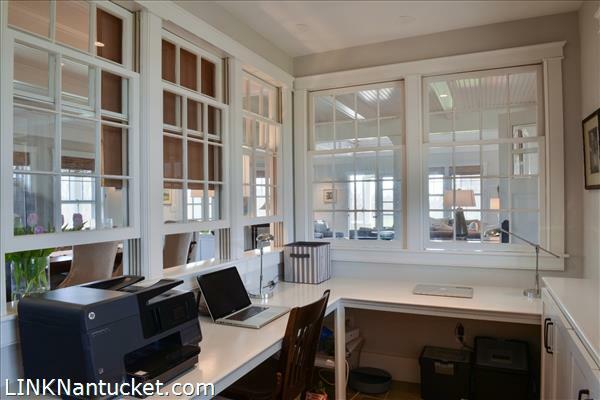 A separate office with interior and exterior windows with built-in desk and cabinets, large pantry/laundry with cabinets, marble counter top. 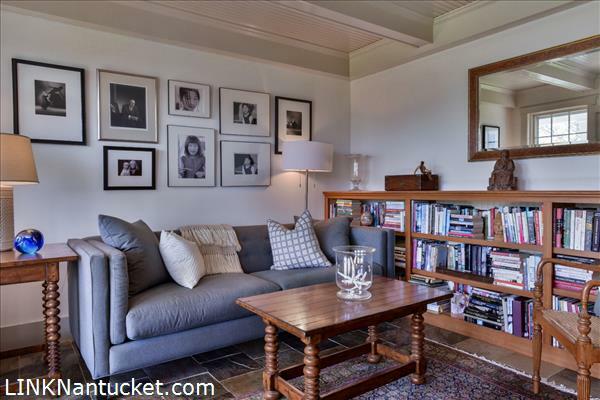 Den with built-in cabinets and book shelves, French doors leading to porch. 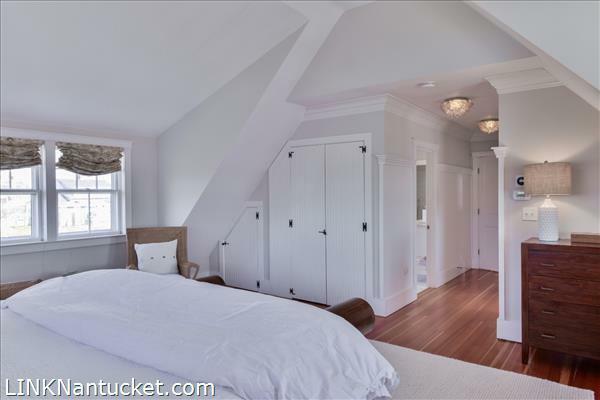 Guest bedroom with private bath, powder room. 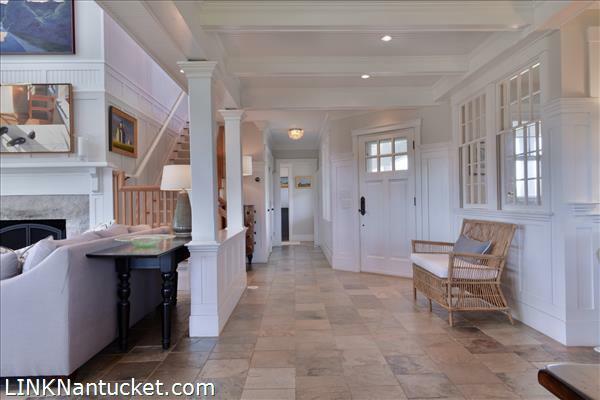 Lovely flow to the wrap around porch through multiple french doors for a cohesive atmosphere. 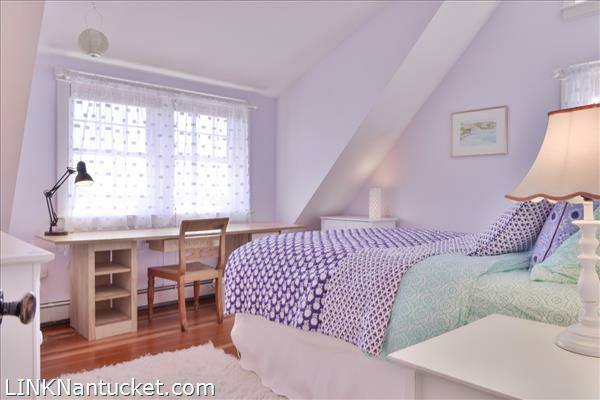 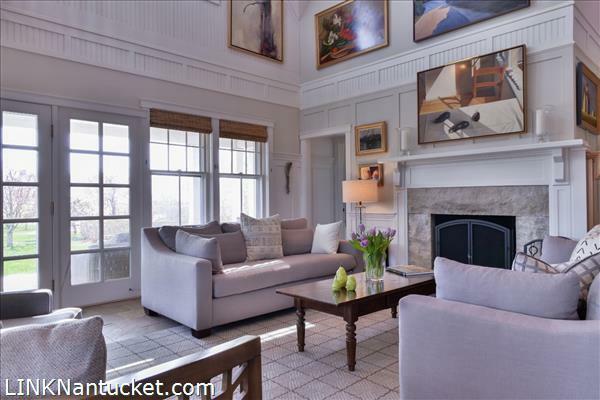 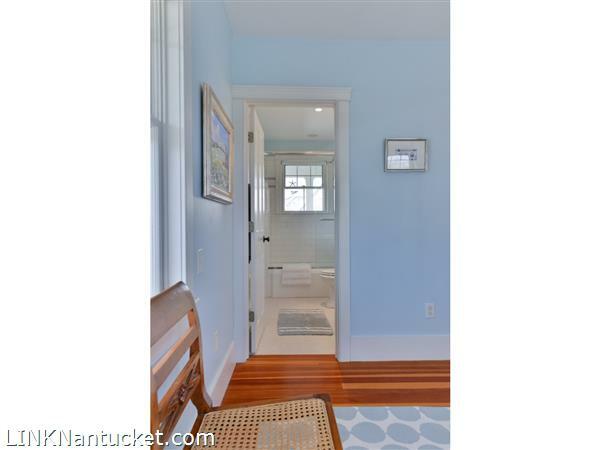 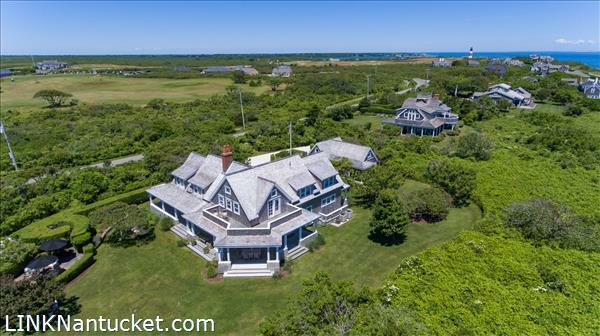 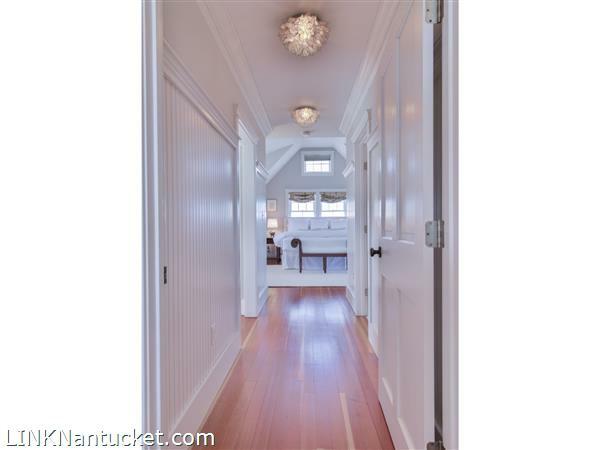 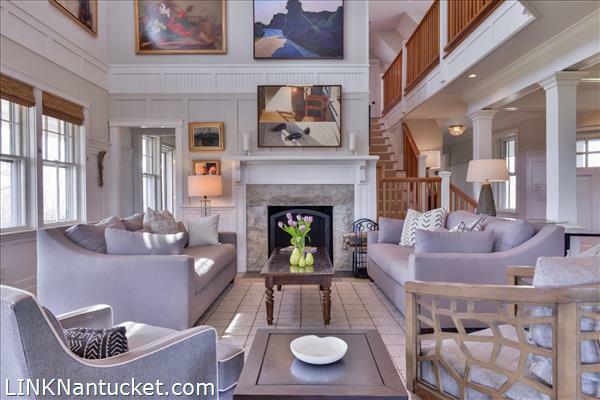 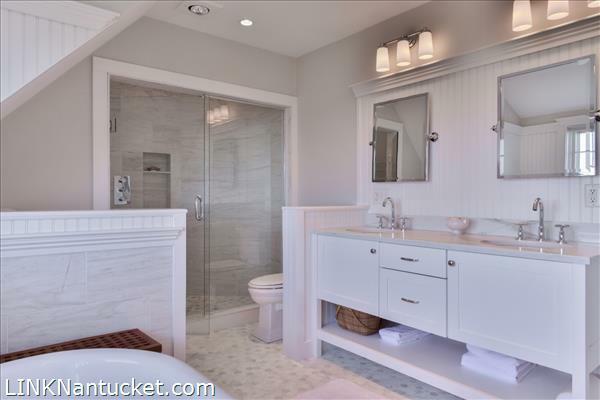 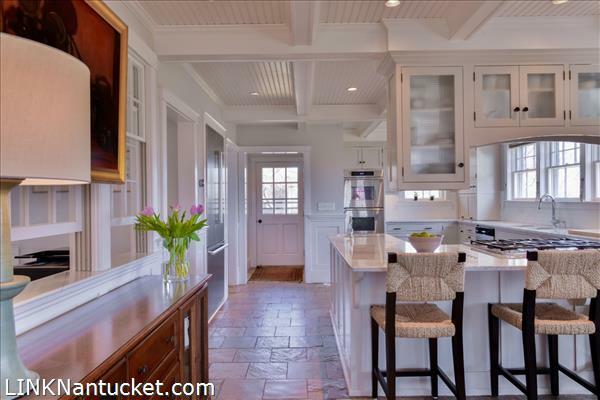 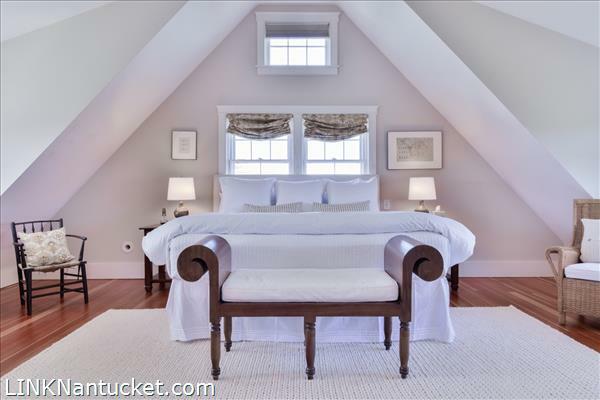 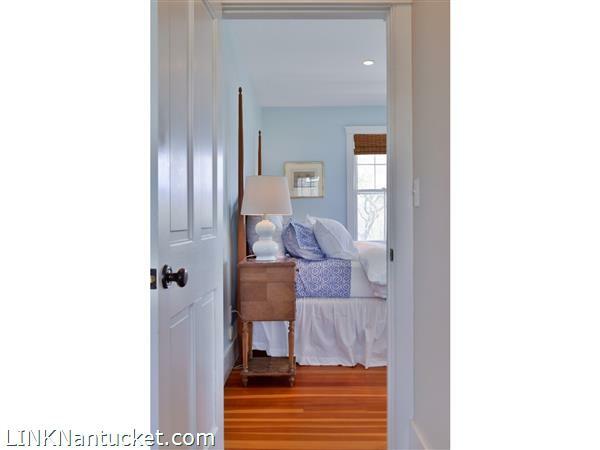 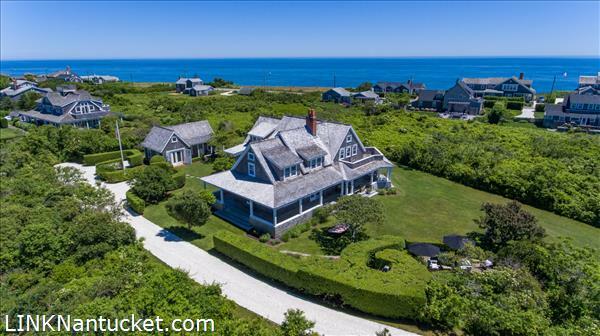 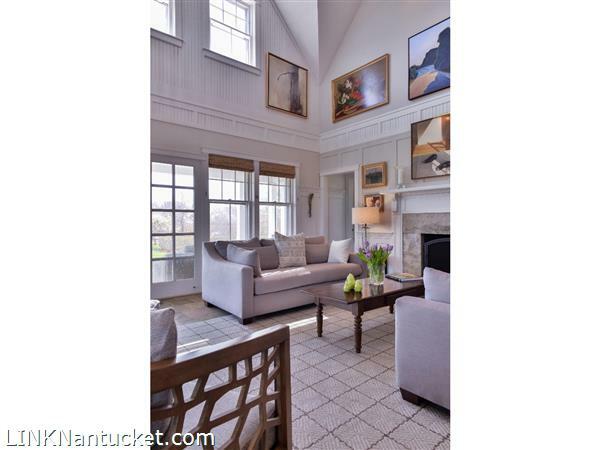 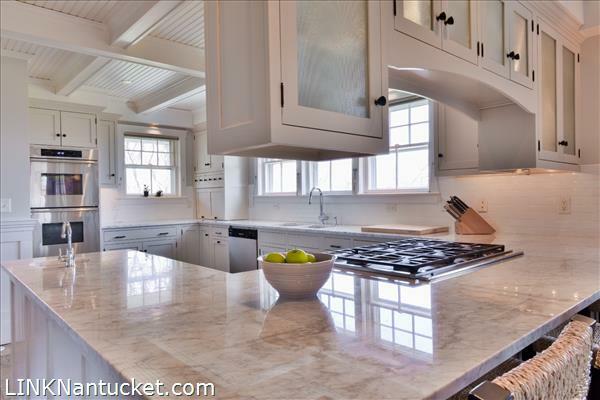 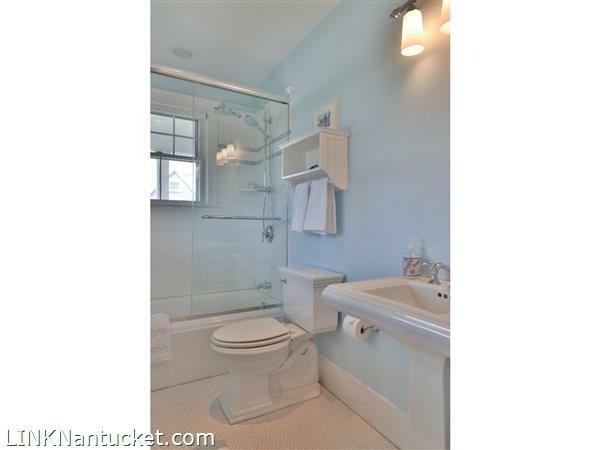 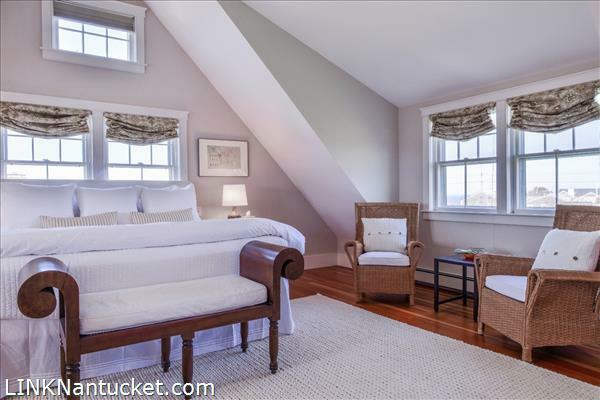 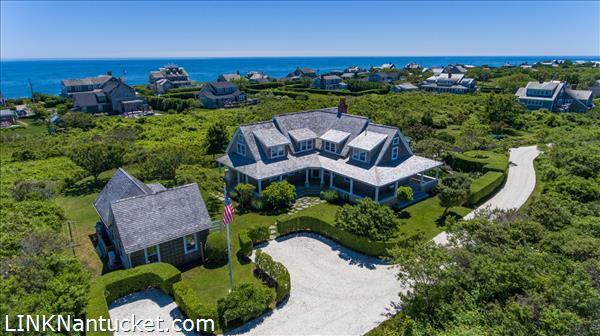 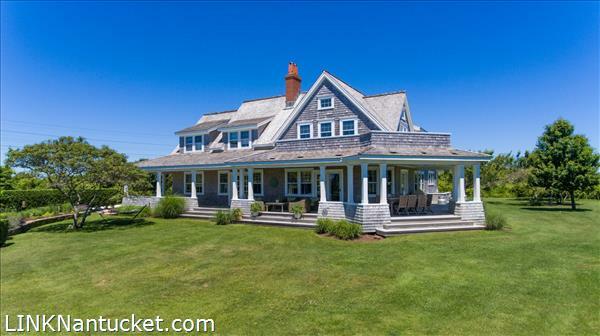 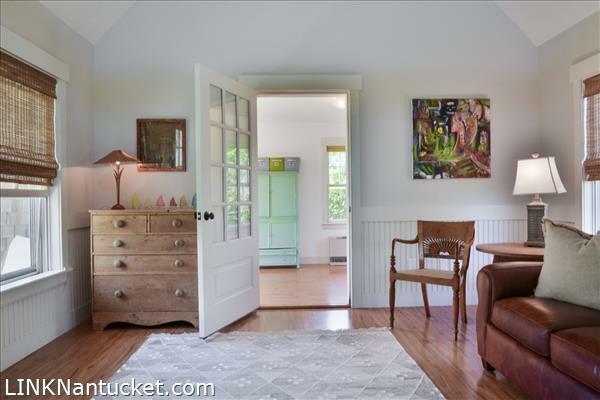 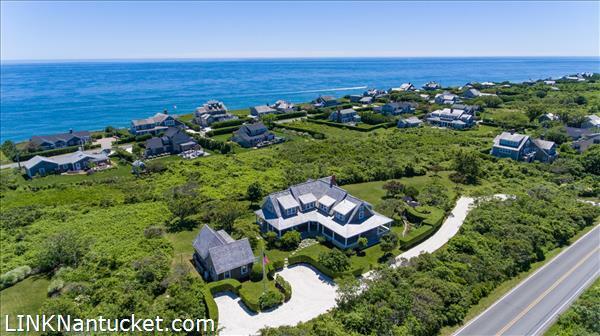 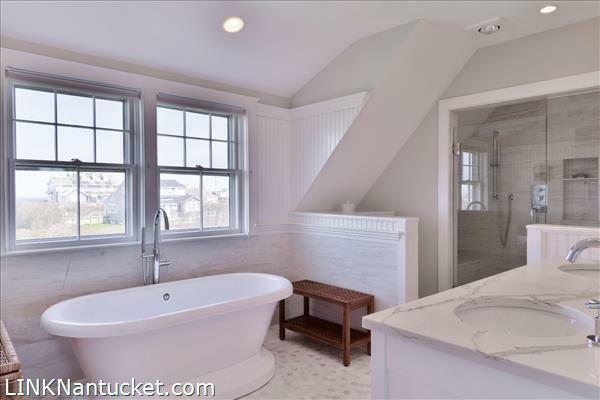 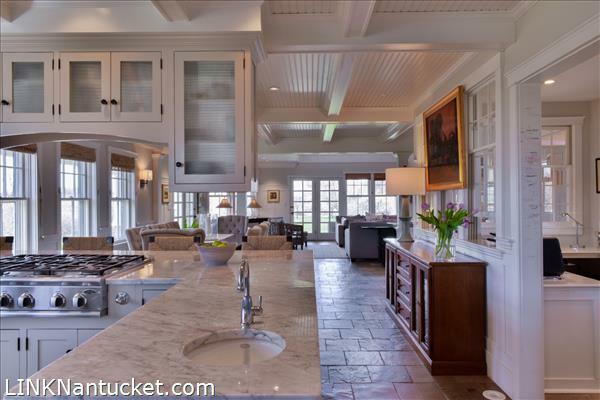 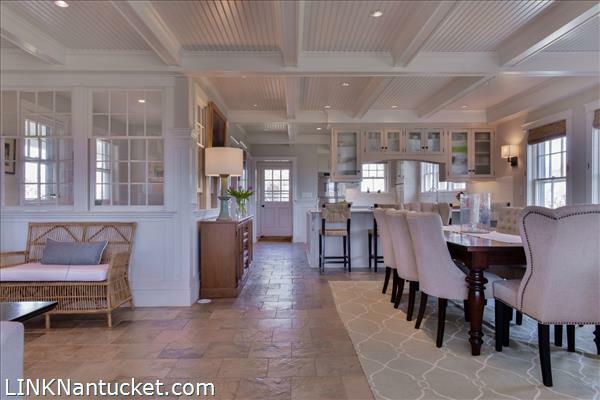 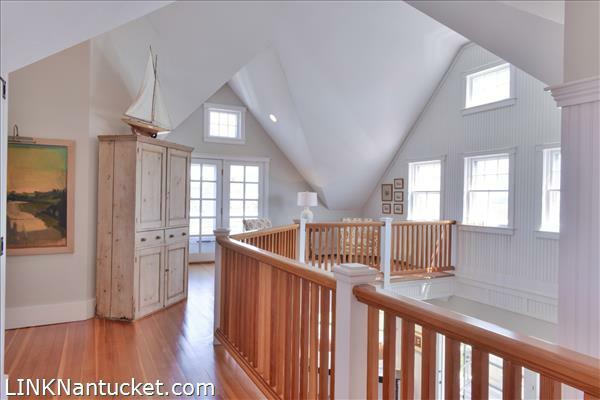 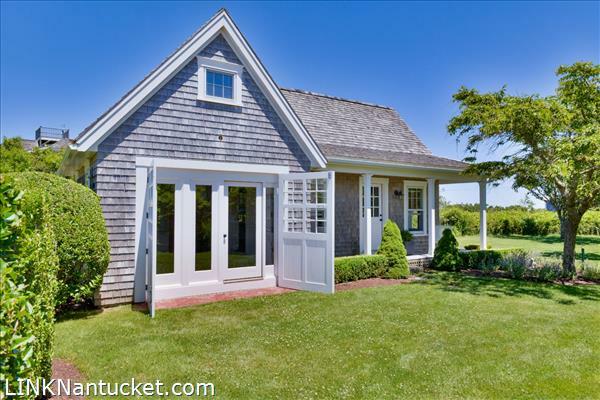 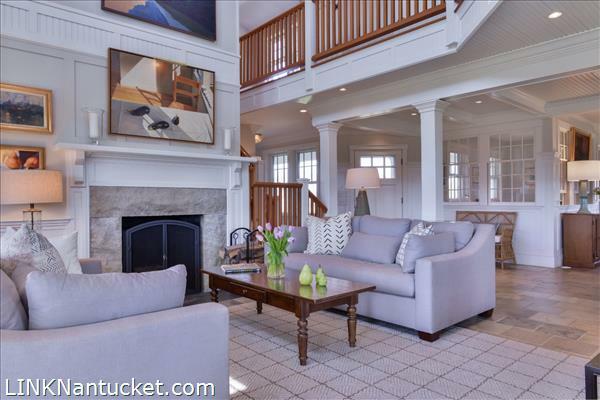 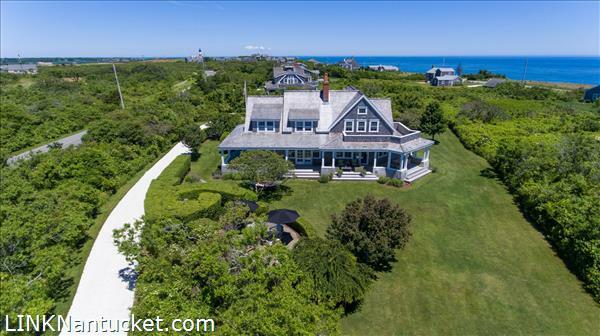 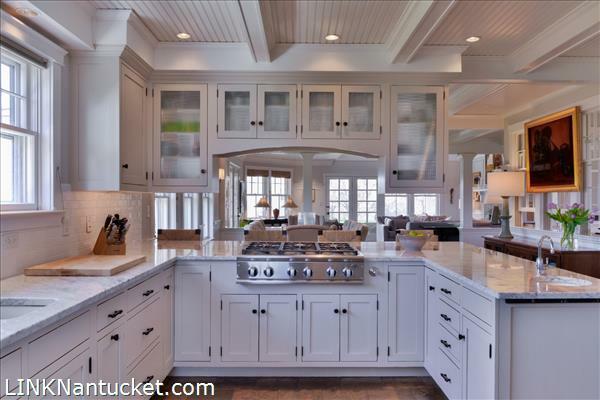 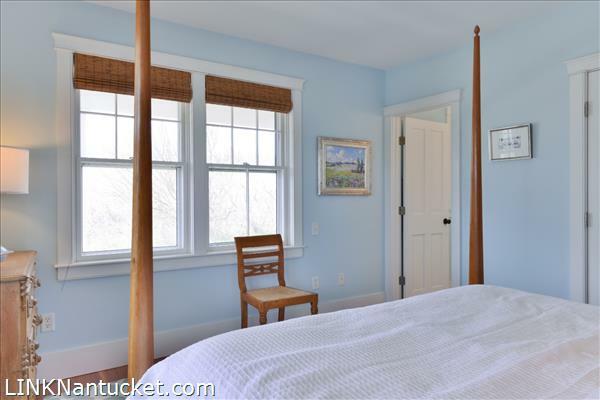 Second Floor: Large master bedroom with cathedral ceiling, views of the ocean and Sankaty Golf Club, dressing room, en suite bath with quartz double sink vanity, large shower, separate tub. 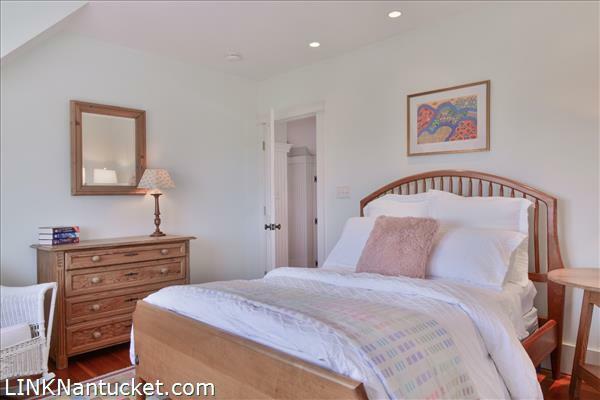 Two guest bedrooms with shared bath. 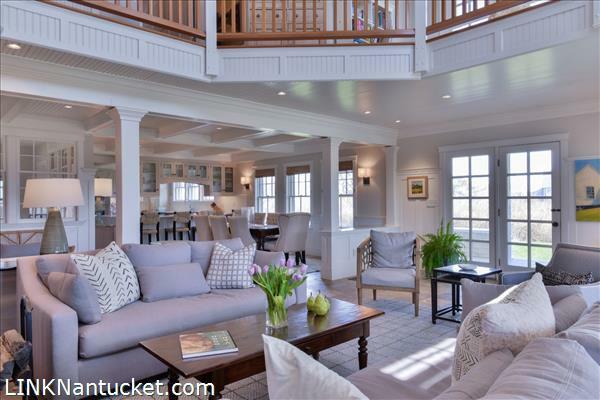 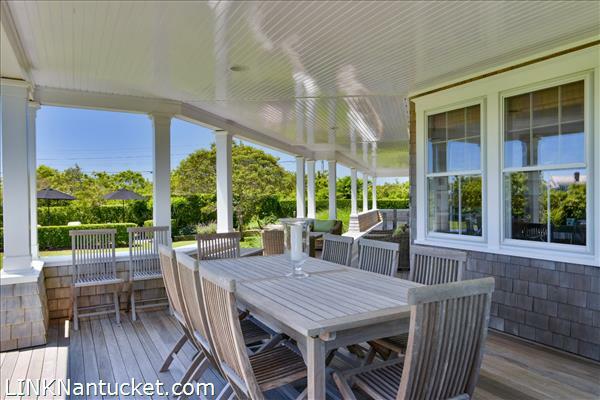 A sitting area with French doors opens to a large second floor balcony facing East with ocean views and West for sunsets. 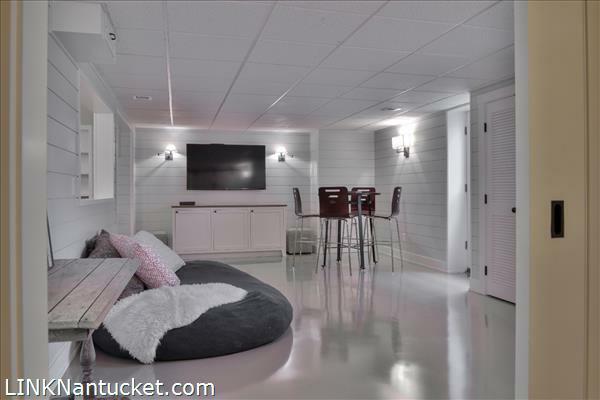 Basement: Finished lower level with additional living space with a family room. 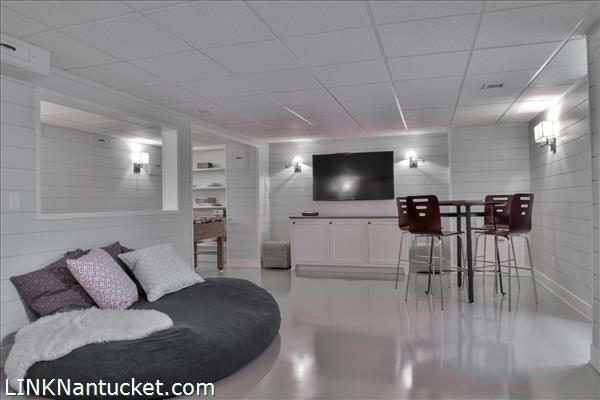 Perfect for playing games and time after the beach. 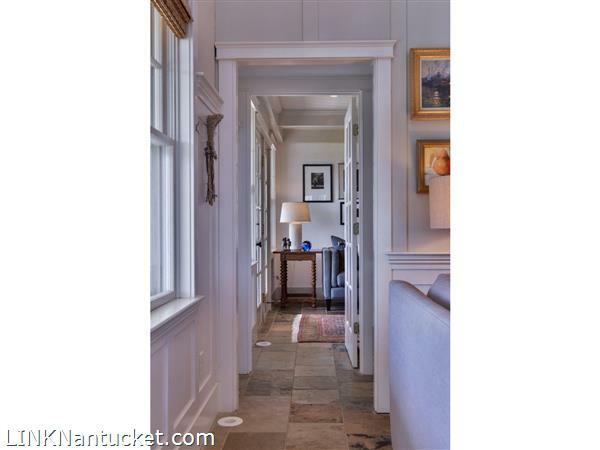 Door access to the back yard. 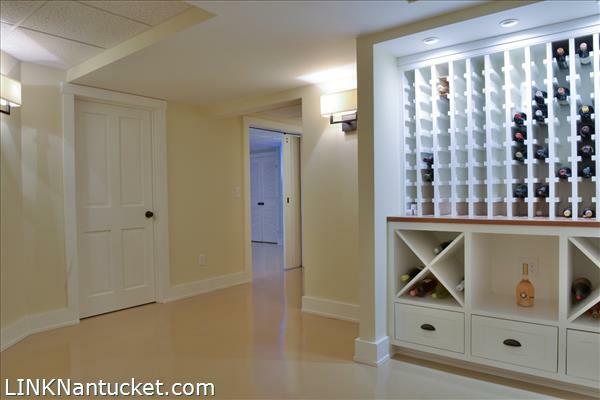 Separate storage rooms. 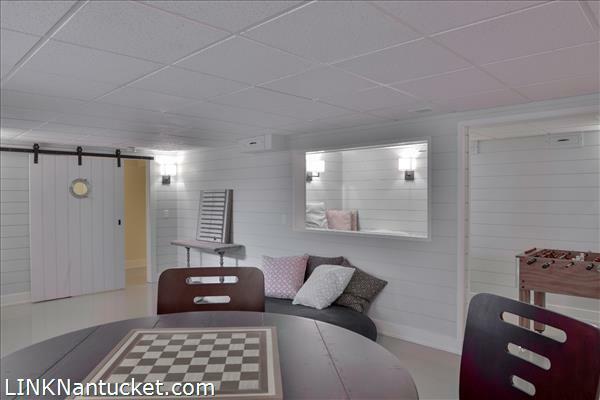 Owners’ closet.